My son, who is a liberal of course, said to me as we were discussing the election "Dad, young people are always right." And in the great picture of things he is absolutely correct. He pointed out the Vietnam war, "Occupy Wall Street" as two major examples of passionately led youth activism to reinforce his comment. As with Sanders supporters and their genuine passion for the poor, the disadvantaged, the struggling ethnic communities, right is definitely on their side and their beliefs are to be respected and considered. Where the young fail in their passion to these causes is in two areas. Firstly, and oddly, as passionate as they are they don't turn out to vote. For all of Sanders fans street and Twitter and blog activity the simple fact is that he lost the popular vote to Clinton even in ultra-liberal California. In the Brexit vote 75% of young people who voted supported "remain" but only 25% in the 18-25 age grouping voted. This lack of commitment in action detracts from the validity of their causes. But most importantly the young identify major structural and societal faults, but either don't identify clear and viable solutions (taking into account the nature of the voting public and political realities in Congress) or don't present any solutions at all. Occupy Wall Street was correct in its identification of the culture of corruption that the financial elite indulge in, the multi-billions major banks have had to pay in fines for their vile practices makes that very clear. The street theater went too far (defecating on police cars for example) but the movement failed because no clear statement of policy on how to deal with the problem emerged. Socialist (or communist) "solutions" would only serve to detract from any serious consideration as even the Democratic party would not consider them. Similarly with the Vietnam example. Righteous indignation at the Harvard elite dragging the USA into a local civil war was of course correct but didn't address how to deal with the very real threat of communist aggression and oppression in the cold war era. It took a conservative President Reagan, after the hapless Carter administration, to apply the mechanism of economic sanctions, a massive build up of American arms which bankrupted the USSR to finish the threat off. America has had eight years of the Obama administration which was supposed to bring "hope and change" and yet the ethnic, racial, middle and lower class incomes are so bad that it has unleashed the Trump and Sanders revolt against the establishment. To turn to a pillar of the establishment, Hillary Clinton, to deal with these major problems seems utterly absurd. Unfortunately for the Sanders supporters the remedy lies, as with dealing with the USSR, with classic conservatism. Redistribution of income via punitive taxation is a sop to passion and whatever initial benefits accrue soon dissipate. The state as deliverer of social and economic equality is a time proven recipe for failure a LBJ's "great society" showed at its best and the USSR showed at its worst. Economic regeneration through giving American entrepreneurs free reign to their (Keynesian) "animal spirits' in a genuinely competent regulatory environment allied to protection against foreign dumping and giving middle sized companies employers a fair trading environment via low taxation will "lift all boats." Liberalism has "won" in identifying the multitude of problems confronting America, to apply liberal solutions to these problems is pouring more fuel on an out of control blaze. Sanders young folk are right in their passions, Donald Trump recognizes that, and extends the hand of welcome against the joint enemy. It is of course for them to consider this in light of their options if Sanders is not their nominee. Their choices are not vote or support a third party, both of which enable Clinton, or vote for Trump. They have identified the problems facing America, in the absence of Sanders the choice of a Trump led economic recovery and dismissal of the establishment whilst building up a Sanders Democratic party to give real choice in 2020 may be an option for them to consider. 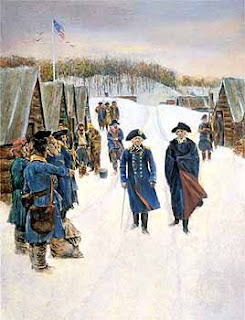 During the 1770's, as the American revolution developed, soldiers who joined the Continental Army during the spring or summer but went AWOL in the fall or winter were known as "summer soldiers". Many of the "summer soldiers" were farmers who would join up with the Army when their crops were planted, fight during the summer, and then go back home in the fall to help with the harvest. Others would stay with the Army through the harvest, but sneak off in the middle of the night once the weather got cold. Meanwhile, the people who supported the revolutionaries when the revolution was going well -- but not otherwise -- were called "sunshine patriots". he was talking -- quite literally in the former case -- about the fair-weather friends of the Revolution. I recently had a Twitter dialogue with Hot Air's noted writer "Allahpundit over what I saw as his continued negativity to Donald Trump well after Trump was the putative nominee. Allahpundit asked if I "never found any fault with Trump." That is of course not the matter at issue. I find fault with even Sarah Palin (there I've said it) as I side more with Trump's position on the GOP's need to rewrite the abortion plank. I am pro-life but even Palin makes one exception and I, like Trump would allow for two. Of course no politician is perfect and there never has been one, Reagan included. The bottom line, the absolute is, could any Republican of any stripe look at themselves in the mirror on November 9th with anything but shame and self-loathing if they had overtly assisted Hillary Clinton to have been elected as president, especially with a senate majority and supreme court appointments to commence? I do not use the words "inadvertently" or "through inaction or neglect" because any action against Trump, any inaction or neglect when action and attention was possible, is exactly the same as overt assistance when the stakes are so high, in fact as high as they have ever been for the Republican cause. Any such neglect or overt attacks on Trump with an eye to "having a real conservative elected in 2020 (not ascribing such thoughts to Allahpundit) is disgustingly self-serving and shortsighted. Further, since most presidents are reelected it is doubtful in the extreme, and the SC appointment/s are irreversible. Further still, if the perpetrators of such fantasies believe they will have a united party behind their 2020 choice (presumably Cruz) after sabotaging the 2016 overwhelming choice of the primary voters they are deluded in the extreme. I understand and appreciate that there are bitter feelings among some of the backers of the losing candidates especially among those who supported Senator Cruz. But continuing on yesterday's battle against the nominee is utterly nugatory and otiose and must, for the sake of America above all, now cease. What possible purpose does it serve for Hot Air to continue to run negative articles about Trump, parse every negative poll, especially when as they well know polls at this point are discredited puppets of the media's agenda. "I will not now or will never support or vote for Donald Trump." I still see this touted around conservative blogs and Tweets. In the absolute majority of cases when the day of the election approaches the people who made such emphatic statements will, whether they hold their noses or not, vote for the nominee. This has been the case over and over as with the female "PUMA's who, after Hillary lost the nomination swore the would never vote for Obama which they did, and all the anti-Romney's who vowed the day would never dawn then they would vote for him, but vote they did. Now if Allahpundit and ilk decide in the last week to write "as bad as Trump is Hillary is worse and I will vote for him" that's all well and good. But for people such as they who are in a position now to "bear any burden and fight any foe" and choose not to because of aggrievement they are "Summer soldiers" whose neglect of duty, when so many are fighting for the anti-Hillary cause is, purely and simply the worst form of enabling. Win or lose in November, I and millions of others will be able to say we fought the good fight to the best of our abilities. For those of talent to neglect this duty, to attack the only weapon against ultra-liberalism available, and by doing so to enable the ascension to office of a corrupt leftist candidate is, frankly, shameful. There is still time to look forwards, to do the right thing and to keep America safe. I ask those who have the special ability to make a valued, positive commitment to put the past behind them and commence the attack against the real enemy. I have linked a few articles below pertaining to satire. There are variations on the theme of course but the main thrust is clear, satire is a potent political weapon. That the right doesn't recognize this fact and use it against the left is a major, vital failing. The Alinskyite tactic of unrelenting attack on opponents has satire as a key component and conservatives, countering this with facts and reason are utterly failing in their responses. That the mainstream media, including the late night talk shows and the likes of SNL, Maher etc etc is overwhelmingly in support of the Democratic party is beyond all quibbling but the very recognition of this fact detracts from the sting of their attack, and their arguments, such as they are, can be countered with facts because there is a degree of reality in their premises. The attacks from such sites as Gawker and Wonkette and the rabid "progressive' blogs are not easily countered because facts don't mean anything to the people who use their platforms to denigrate the left. The sheer volume of diatribe issuing from these sites gives them a reach far beyond the awareness of them by the wider public as the memes they create seep into the wider discourse as "facts." The hit job done on Sarah Palin in 2008 and 2012 is a classic example of this meme creation. SNL created this parody of a back country ditz 'who could see Russia from her window' (which of course she did not say. Unsure if she had survived this onslaught and might run in 2012 they created the "Game Change" movie which portrayed her, going one step further, as some sort of pyscho. Talk show hosts beat on the "Romney is cruel to animals and is an utter snob" meme from the start to the finish. Nowhere to be found was any conservative satire sites that, to quote the Ace of Spades blog's masthead "hoisted the black flag" in return. The right has the gentle satirist tweeter "Iowahawk" whose acerbic wit is outstanding, but its too clever and sometimes too gnomic to counter the hate and filth and distortion and lies emanating, successfully, from the left. It has to be admitted that a major part of the success of such sites as Gawker and Jezebel is they provide heaps of sight humor, cartoons, video clips and often their attacks are funny, it's obviously a formula that works. Where is the "conservative Gawker"? There are a number of new, youth orientated conservatives sites like "The Last Refuge" that do an outstanding job of taking the fight to the enemy but they do it in the classic way and their facts and arguments and passion can be dismissed by the left using their so far invincible weapon of hate satire. The right is not lacking for talent, I would gladly put my hand up to contribute to any satire site that such talented and enthusiastic people could get under way. But, underway it must get, and quickly (and needs to be substantially financed otherwise it will have little effect). There is too much at stake in this election to let the leftists run roughshod over the all to earnest right. Who will speak in harsh unrelenting satiric tones for conservative Americans and for America? Sep 1, 2014 - From "Looney Tunes"-style cartoons to even jokes about mass executions, Arab public expresses their dislike for militant extremists with humor. Nov 5, 2002 - 'Americans have forgotten what satire is," says American satirist Michael Moore. "They're so damn serious, they can't make fun of themselves. Capitalism is the best economic system the world has ever seen. Competitive, moderately regulated free markets have given the world a prosperity beyond imagining even 100 years ago. The other systems tried during periods where capitalism had periods of recession or depression, e.g. communism and varying degrees of state controlled socialism in a general free market environment, have led to stultified bureaucracies at best and mass terror at worst. However, at some point a *major crash will come which will make 1929 look like a picnic. Nobody knows when or how of course, but it might possibly be the massive money printing/debt mountains that is the current economic situation, a collapse in China setting off a world economic cataclysm or something else. But, come it will. At that point, given that money printing will have been the cause printing money will no longer be the salvation. War of course has worked in the past but that was before nuclear weapons made mass warfare a lose/lose situation so it would seem that avenue is closed. The "Eastasia has always been at war with Eurasia" Big Brother scenario would have worked up to the mass information age but "the proles" are wise to any "War is Peace" statism. The way forwards to a balanced, just, peaceful society based on competitive cooperation would be the only sensible economic and social structure and that structure is syndicalism or the cooperative movement. Syndicalism (not anarcho-syndicalism which is a recipe for disaster) is, simply put the restructuring of society on a cooperative basis. It is of course a fantasy to imagine an America where industry is organized on a product basis in the current environment. It is not in peoples nature to move away from the idea of individual ownership to co-operative joint ownership, and rightly so. Again, this could only come about following a complete and devastating collapse where even the most individualistic would accept that a new ordering of society is required. This new structure would envisage, for example all car manufacturing or steel making industries being under one umbrella. The entire, say, car industry would be entirely owned by the workers including all levels of management. All profits, and to work that element of capitalism would have to be retained, would be divided up amongst the employees with a dividend to the national government. "Government would come from elected representatives from each element of the national economy ensuring that government was connected to the real life of individuals and the real economy. A strong level of consumer driven demand and competition would also have to be retained to prevent the bottlenecks,"planned demand" corruption and bureaucracy which state controlled economies create. Workers' councils combine to elect higher bodies for coordinating between one another. This means that the upper councils are not superior to the lower councils, but are instead built from and operated by them. The national council would therefore have delegates from every city in the country. Their nature means that workers' councils do away with traditional centralized governments and instead give power indirectly to the people. This type of democratic order is called council democracy." A review of syndicalism, in various guises and under extreme considerations in revolutionary Spain is an interesting overview of the concept. What stands out is that even under extreme stress if peoples aspirations for a better life created through their own efforts and in cooperation with others is allowed to be expressed and is nurtured than anything is possible. "Although there were early issues with production in certain instances, however, numerous sources attest that industrial productivity doubled almost everywhere across the country and agricultural yields being "30-50%" larger." This Spanish example is by no means meant as a template, far from it, but elements of it are most certainly required if and when the modern age with its advanced technological and communication capacity requires a revolution in the human soul which, post a cataclysmic collapse, will usher in a real economic liberalism and an advanced age in human relations. If Trump Loses Romney/Ryan/Graham/Kristol/Brooks Are Welcome To The "GOP"
If Donald Trump loses in November, and most especially if he loses in part because of the malign influence of the #NeverTrump dead-enders, then the "Grand Old Party" is doomed. Certainly whatever rotten rump is left would stay around for an election or possibly two in a truncated form, as the finance from the Beltway/country club elite's would be there to prop it up. It would be enabled also by the leftist media which would wish to perpetuate a Republican split to aid the Dem's. When the previous conservative splits happened the Federalist and the Whigs managed similar last gasp efforts before expiring as would the GOP rump. There is, most certainly, no place for myself in such a GOP, and I suspect a massive number of Trump/Palin-ite supporters too. I, and I believe many others, would prefer a socially centrist party with a states rights method of implementation, allied to traditional conservative economics and a strong "America first' foreign policy outlook allied to a major commitment to the armed forces. The nuts and bolts of such an underpinning to a new conservative party would be for the founders, in convention, to develop into a cohesive whole but the elements are clear. The question arises that if the GOP breaks up would it be into two or three groups initially? That the Romney et al group is anathema to the Trump followers is unquestioned and a post Trump defeat would see them as irreconcilable. What happens to the Cruz supporters would be the determinate factor as to how many groups would form. I, as a centrist conservative, can't see myself joining a party whose social outlook is completely rigid on abortion and Gay relationships. I, like Trump and Palin allow for exceptions in abortion and I have no problem with civil unions. Those matters apart I see little difference between the Cruz and Trump supporters. If, in developing a new conservative party the Cruz element could move to a states rights view of these matters then a broad tent, rid of the elitists, is more than possible. If the Bourbons retain hold of a deeply factionized GOP after November they are welcome to it and I will join the "write in" party. Of course the best thing would be for Trump to not only win in November but win handily and have a Republican congress to support him. But if the worst comes to the worst I would believe that the 2020 election will see very different parties competing and and by 2024 a Trump-ite/Palin-ite party would be poised to achieve the presidency. Iowa moving solidly to Trump, Nevada is, perhaps surprisingly, still in play. Pennsylvania tightening as is Wisconsin. Trump needs either Wisconsin,Virginia or Pennsylvania to win in the electoral College. Two new polls show striking move to Trump, if this continues then Virginia will win it for him (259+13=272) but more polling required to confirm. It would be foolish to only consider the election based on when state polls show a better picture for Trump (as was clearly shown in the misreading of polls for Romney by Republicans in 2012). I have assigned North Carolina, Arizona, Georgia, Iowa to Trump based on history and poll trends. If any was lost by Trump the election would be over anyway. Trump or Clinton elected as president in November? There's no mystery as to how to work out which will be inaugurated next January. Trump's victory map path is set out below. Forget the "Will Sanders supporters vote for Trump/stay home/cave in and vote for Hillary" which some "pundits" (what a disgraced, debased, demeaned word since the Trump campaign exposed the entire class as shills, blind fools, shameless partisans) have been touting as the key to either Hillary landslide or a Trump squeaker. Disregard "Ron Johnson's Libertarian party's time has come and he will take more votes from Trump/Hillary" ditto "Jill Stein's Green Party will take enough votes from Hillary to let Trump win." Ignore "Utah is in play for the Dem's" or its counterpart "Trump will have a massive landslide and win 400 Electoral College votes putting even California in play' and other such fantasies. Do yourself a favor and don't click on the day to day Trump/Clinton head to head *poll results "Trump up by two, Hillary up by four' as they will bounce around (and are manipulated shockingly) from day to day, week to week. This especially at the early stages of the campaign, with the conventions usually producing temporary "bump's" which send the partisans and pundits (who should, and actually do, know better but, hey, it's a living) into frenzies. Here's the story. The election will be basically won or lost in three states, Florida, Ohio and Pennsylvania-that's all she wrote. But, as always for the GOP, Florida is it right from the start. Lose it's 29 electoral college votes and there is no alternative path to victory for Trump. So tough is the electoral college path for Trump that Florida is only step 1.To get to the required 270 EC votes the other swing states Ohio has to be won & Pennsylvania, which hasn't gone to a Republican since 1988 is the absolutely crucial key. In my opinion Trump with his "rust belt" appeal is the first GOP presidential candidate since G.H.W. Bush to have a decent shot at it. Here is Trump's (current) "best' map. If Trump didn't win Pennsylvania then Virginia's 13 votes and New Hampshire's tiny 4 votes would give him exactly 270 but that's a hard row to hoe. That's the background and since the aforementioned prognostication "tools' are of little realistic use what is the best mechanism available to see, at any point, which candidate is on track to winning in November? It is the aggregate, or "poll of polls" for the three (or at most the five) states which are the determining ones. Of course, if something dramatic happens during the campaign, an indictment or an attack or some "black swan"event which makes aggregate polls in a substantial number of states not normally associated with either the GOP or Dem's tilt massively (and permanently) in either direction then of course that would be that. But failing that, then the aggregate guide is the only indicator that matters. Popular vote does not necessarily indicate a win as happened with Al Gore in 2000 who had over half a million more popular votes than G.W. Bush. Conversely in 2004 Bush had over 3 million more votes than Kerry and only won because he won Ohio by a football stand crowd vote size. Perhaps surprisingly what with all the hooplah, the media circus and the bitter primaries just ending, the key states are more or less exactly where they were ** in 2012! This may prove that voting is tribal and near unmovable excepting a major event like the 2008 financial crisis (expert analysis showed that election was in a dead heat right up to the crash.) On the other hand it may be that Trump's "bring back the jobs" appeal to the rust belt states may swing them just enough to bring them into his EC column and the presidency. Finally, it is important when using the aggregate polls as a guide to check the trends as a pointer to how these key states may look in a week or two. For example one Florida poll had Trump up by 1 and Pennsylvania an exact tie-but of course it will take a few more such for Trump to move the aggregate number into his column,if it does. North Carolina had one outlier poll which distorted that state but, over time that will drop out and restore it to a larger Trump lead-that's how aggregation works! Are the aggregate polls the infallible guide? Barring a "black swan" event they have proven to be the most reliable way of predicting elections, and it can be fairly said that if that is still the case then everything else is sturm und drang, theater, and pundits earning a crust via sensationalism and gross and or blind partisanship. Make it easy on your nerves and free up your time by simply checking into the RCP page now and then.